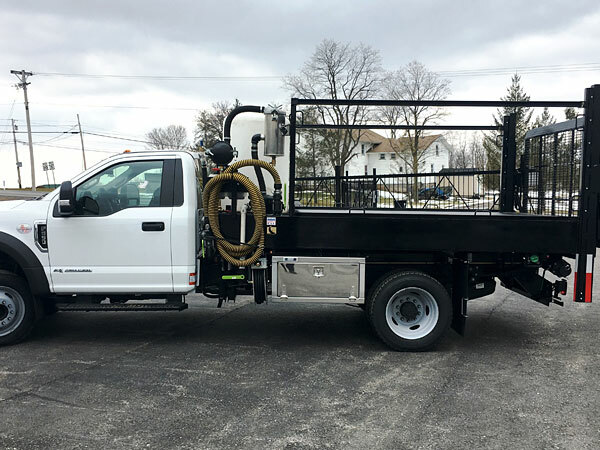 You've found THE ULTIMATE service, pick up and delivery vehicle in one! 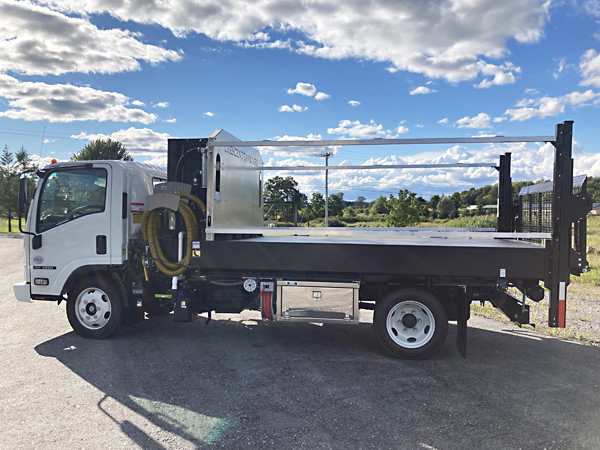 Crescent Tank's rectangular vacuum tank allows you to carry portable restroom units, Handicap units and other miscellaneous items on the bed of the tank and the lift gate. Don't let this be you! Ask yourself why another tank manufacturer would try to replicate a tried and true product like ours. You wouldn't trust a cactus farmer to make your toilet paper. Don't trust anyone else to make your flat vacuum tank! The design is patented for a reason. You can build a rectangle but ONLY Crescent Tank can build it right! Learn more about the man behind the only tank you need. Purchase all of your Tanks through Crescent Tank! 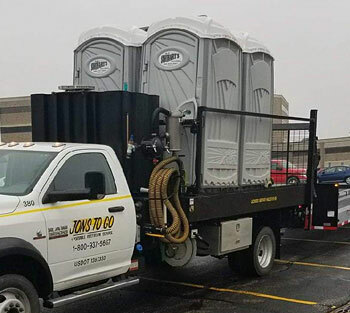 Our unique rectangle design allows portable toilet service drivers to do pick up and delivery during a standard route. This saves valuable time and fuel making our tank design the most efficient in it's class! 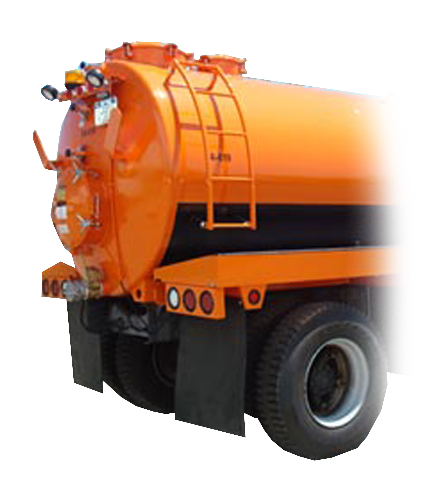 We understand your business has a need for traditional round tanks for septic or other liquid. Check us out for competitive pricing. We can get you a quote. Ship it direct from factory or we can install it in our facility. "Crescent Tank is the only flat vacuum tank manufacturer you can trust. They honor their warranty, go above and beyond to help their customers and treat you well. 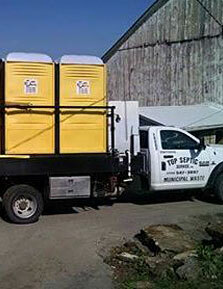 No other manufacturer in the business has owned his own successful portable toilet business. Crescent Tank is the only vacuum tank manufacturer that won't feed you bull." Crescent Tank Mfg. 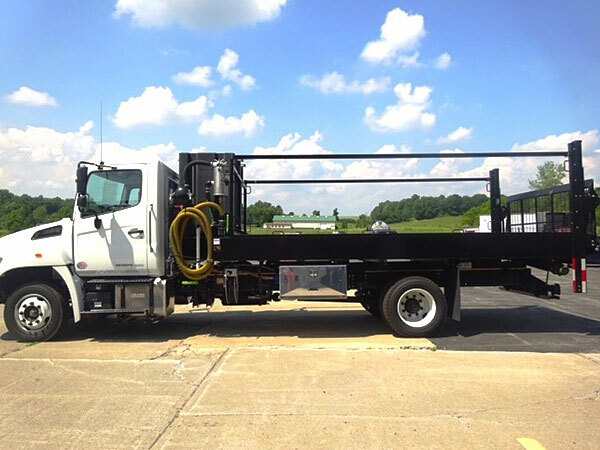 was Incorporated 18 years ago by Robert Denome after spending many years on both the rental and manufacturing side of the portable sanitation and solid waste industries. © Copyright 2019. Crescent Tank Mfg. 585-657-4104 info@crescenttank.com All Rights Reserved.